What will you do with your Ford School degree? Here's an introduction to some of the careers forged by graduates of our undergraduate, graduate, and doctoral programs. You can do almost anything with our BA degree. It's a rigorous program, based in the social sciences. In classes that average just 24 people, students study economics, political science, sociology, and choose from a variety of policy electives. 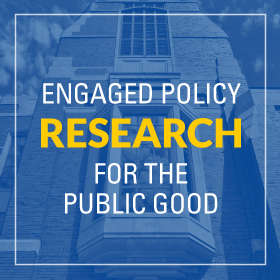 Self-selected focus areas and integrative policy seminars round out this unique, applied program. While in school, many BA students spend a semester or more gaining real-world experience via the University's Michigan in Washington Program, Semester in Detroit, or by pursuing one of the many international opportunities offered through Global Michigan. Ford School BA alumni are serving in the Peace Corps, Teach for America, and AmeriCorps. They're working on the Hill and for private consulting firms in Washington, DC. And they've gone on to earn advanced degrees in public policy, law, business, public health, and education from top colleges and universities. View select BA alumni profiles on our global careers map. 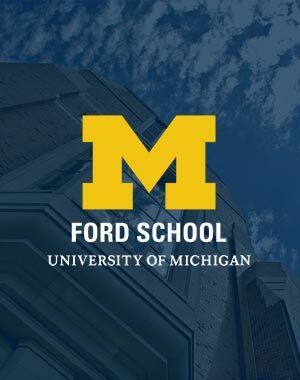 The Ford School and the University Career Center provide comprehensive career services, including individual career counseling appointments, career-related workshops, and job fairs and on-campus interviewing opportunities. We encourage students to read more about our undergraduate career development program at the Ford School. Alumni of the Ford School's MPP/MPA programs are managing multi-million dollar support programs for farmers in Afghanistan. They’re crafting market regulations at the Federal Reserve Bank. They’re directing successful gubernatorial political campaigns. They’re improving health policy in East Africa. And they’re leading national land and water conservation efforts for the U.S. Department of Agriculture. Public policy graduates often move back and forth between the public, private and nonprofit sectors, or between international and a domestic work. Graduates also choose a variety of ways to affect policy; some conduct research on public policy issues, others help implement programs, and some advocate positions on certain issues or lobby for specific legislation. MPP students complete a required internship--10 weeks of full-time (40 hours/week) work--during the summer between the first and second year of study. The internship helps students clarify their career direction, identify relevant second-year electives, and strengthen their professional experience and networks. View select MPP/MPA alumni profiles on our global careers map. 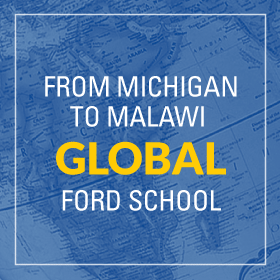 Read more about masters-level career development at the Ford School. Sixty-one students have completed our joint doctoral program since its founding in 2001, and they’ve had impressive success on the job market. They’ve earned tenure-track faculty positions at Cornell, Duke, Penn State, Minnesota, and more; prestigious post-doctoral fellowships at Harvard, Princeton, Stanford, and others; and research posts with organizations such as Mathematica, the Gates Foundation, the Federal Reserve Board, and the U.S. Department of State. View full list of PhD alumni job initial and current jobs. View select PhD alumni profiles on our global careers map. This fall, the Ford School offered an additional career trip—one much closer to home—in the City of Detroit. Under general direction, Detroit Data Fellows will analyze large, administrative datasets and perform statistical analyses to assist senior operational and administrative personnel and inform key policy decisions. "I left my house in the dark this morning. The electricity went out at 7:30, which I later learned was because I made the very American mistake of..."
The Dow Fellowship brings together students from many disciplines who are committed to finding sustainability solutions on a global or local scale.